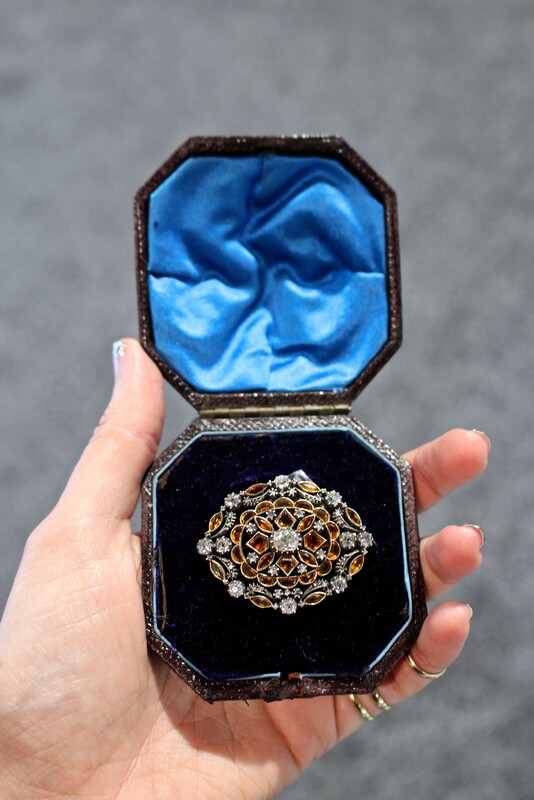 Faerber had some exquisite jewels at their booth — this bracelet caught my attention. I learned it is made of two vintage dress clips and the black lacquer bracelet was made so that someone could wear them on their wrist. They easily detach, transforming back to their original state. 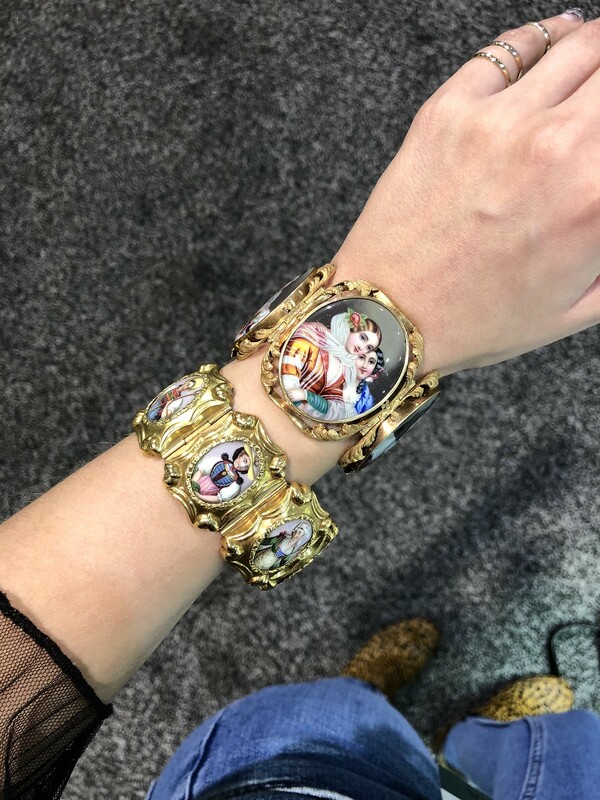 Swiss enamels are one of the most sought after types of portrait jewelry and these bracelets from Morelle Davidson are some of the best examples I’ve seen! 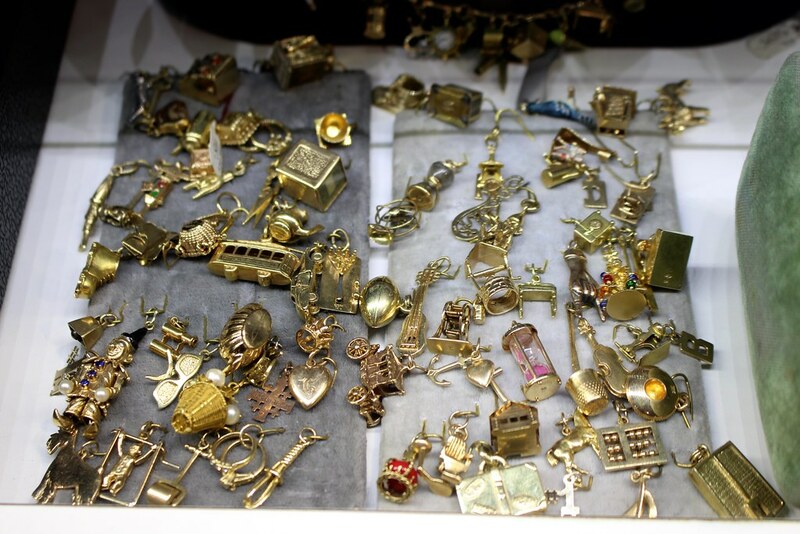 If you come to an antique show wanting to work on your charm collection, you’ll be in heaven. Gold Hatpin always has the most quirky and unique gold charms, and the best price points. 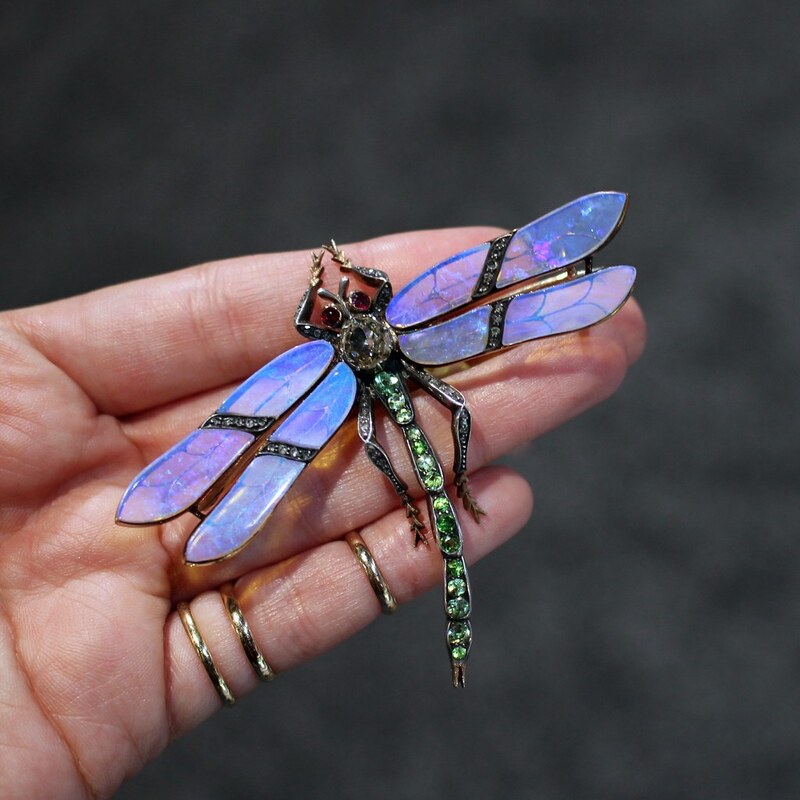 Totally inspiring, this opal-winged dragonfly brooch from Morelle Davidson blew me away! 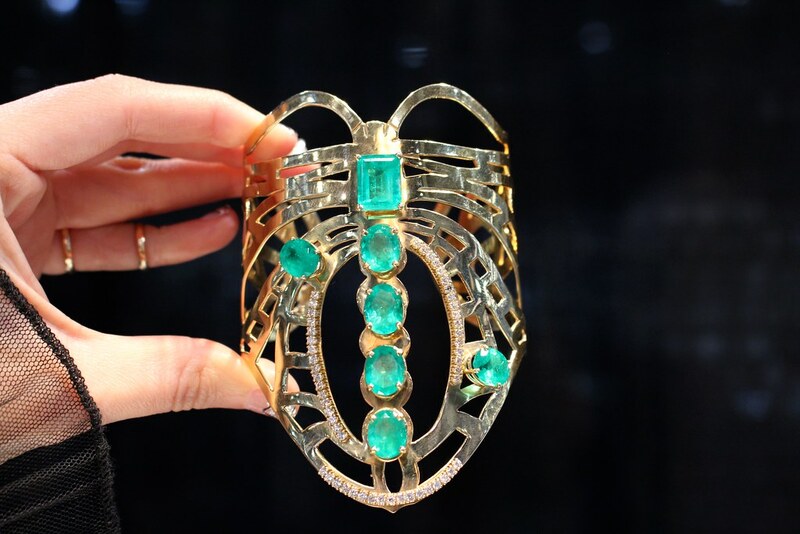 This cuff is SO cool — from the geometrical design to the mossy green emeralds, it has it all! It is from Period Jewels of Beverly Hills. 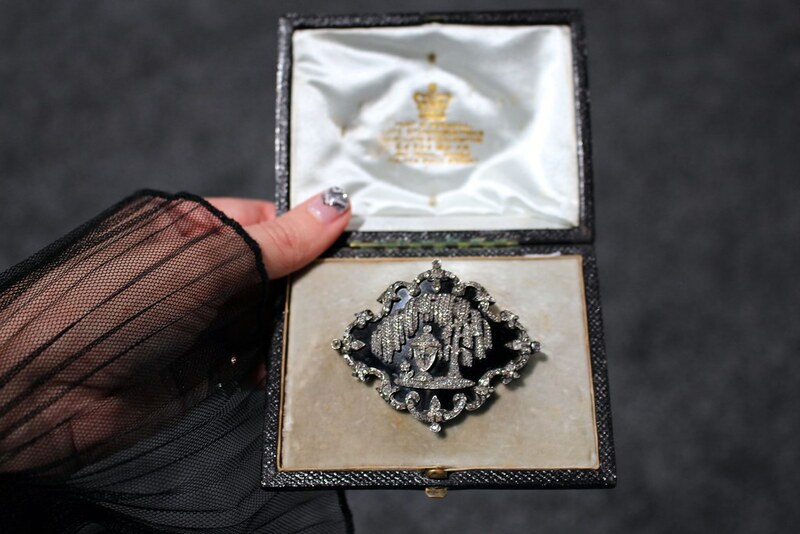 Another booth that can’t be missed in Vegas is Joden’s as they always bring their finest pieces, lots of diamonds and lots of museum-worthy jewels. Keyamour always has beautiful antique jewelry — this bracelet caught my eye as I’ve never seen a similar one. 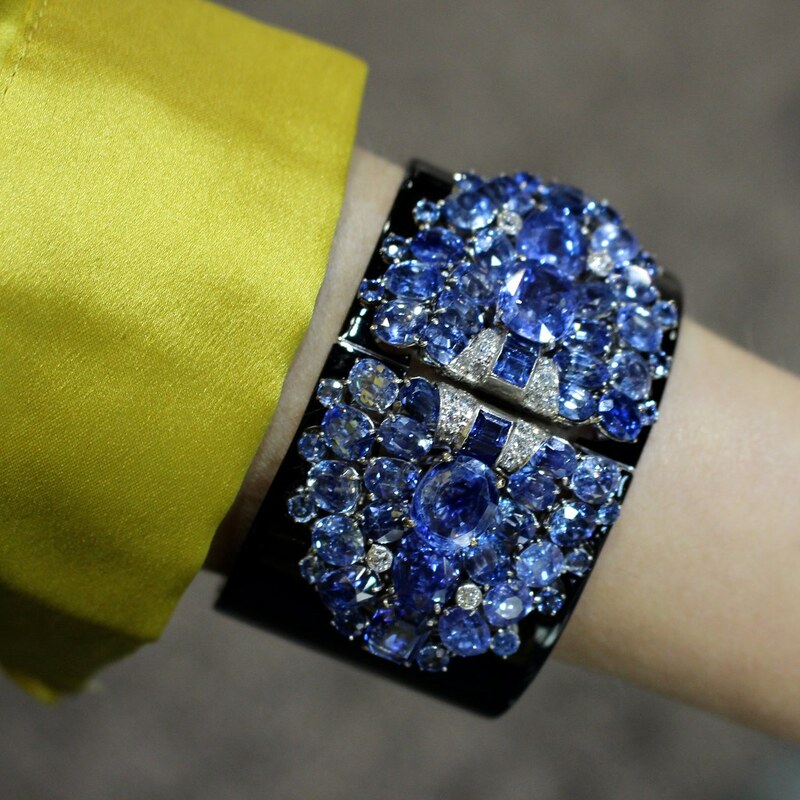 Love the quad of sapphires and the width of this bracelet, so elegant. Lucy Verity always has a nice setup and her stash never ceases to get boring. I’m always finding something intriguing from her! 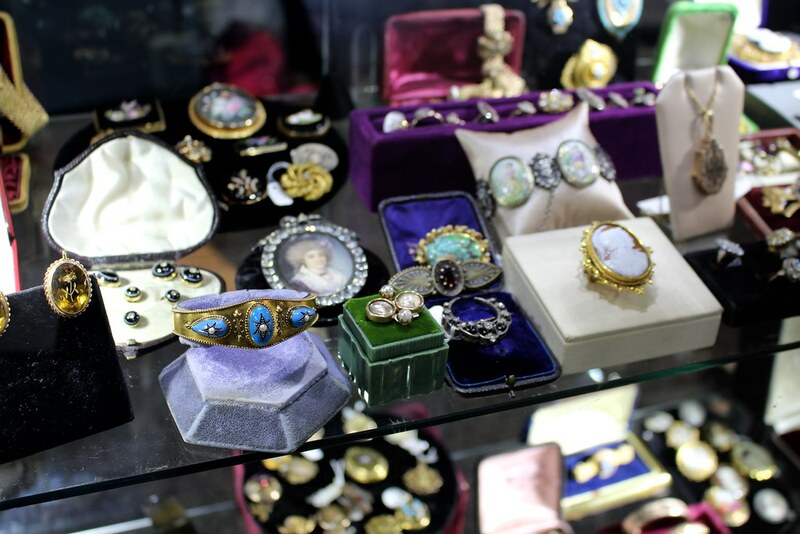 I never miss DK Bressler when I visit the antique shows…as you can see, I always find something to swoon over. 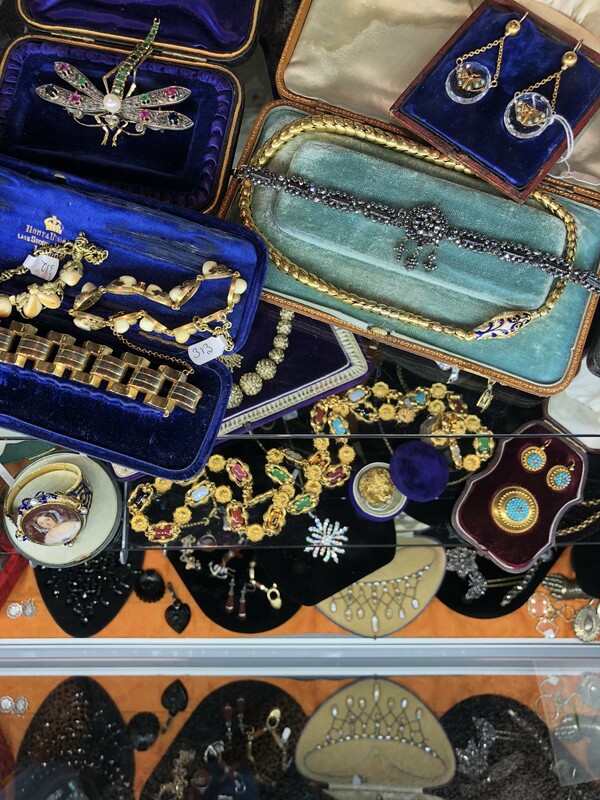 Mary Ann-tiques brought along her mom and her dog this year and her jewelry still managed to steal the show! Lawrence Jeffrey Estate Jewelers is located in Connecticut and I found several pieces that I loved, especially this Burle Marx tourmaline bracelet. 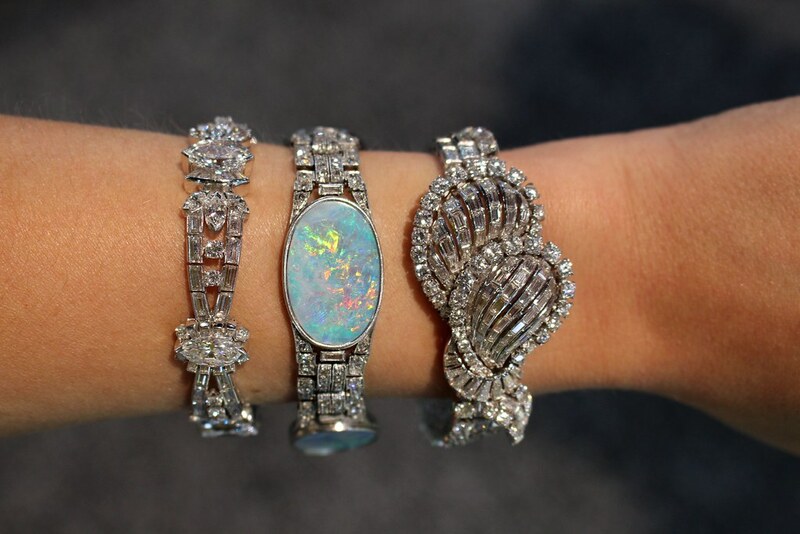 Love this trio of bracelets from Laurie Geller — the opal one is insane! 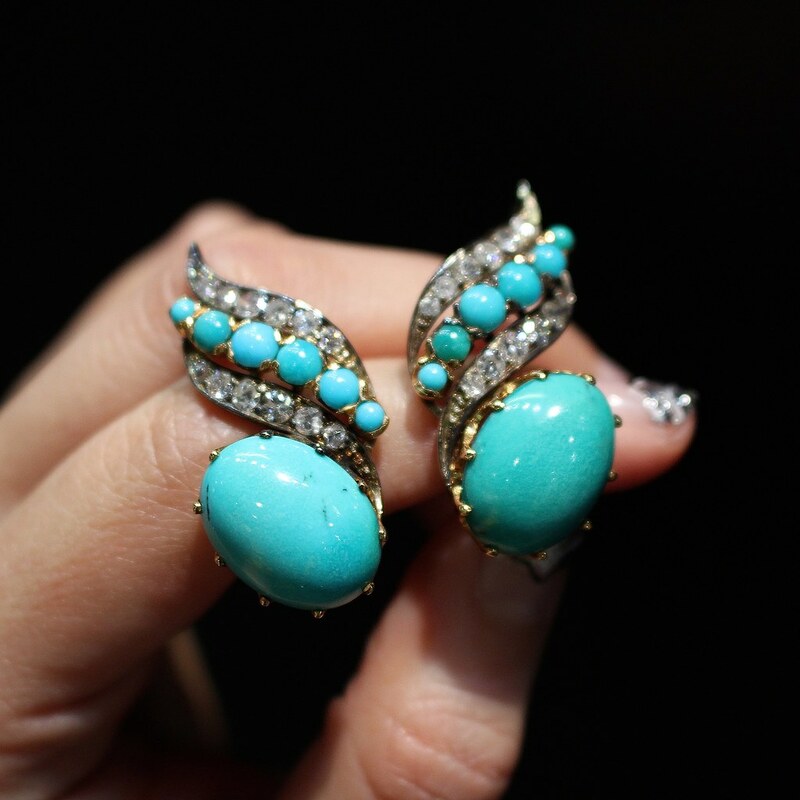 I also brought back eleven pieces to sell for @shopGEMGOSSIP, ten rings and one gold figa! If you follow me on Instagram, you might have already seen the figas I added to my personal collection–I’ve been searching for a coral and onyx one for awhile now, and found both! I also bought one opal ring for my personal collection, which I’m totally obsessed with. I’ll post about it separately! I even found a ring for my husband who mentioned some things he was wanting and thought for sure I would never find anything like it–he wanted a face ring and I ended up finding an Art Nouveau beauty for him! The show was a great success–it was lucky year seven for me, and I honestly can’t believe I’ve been attending this show for seven years! I look forward to it every time and already counting down until next year! 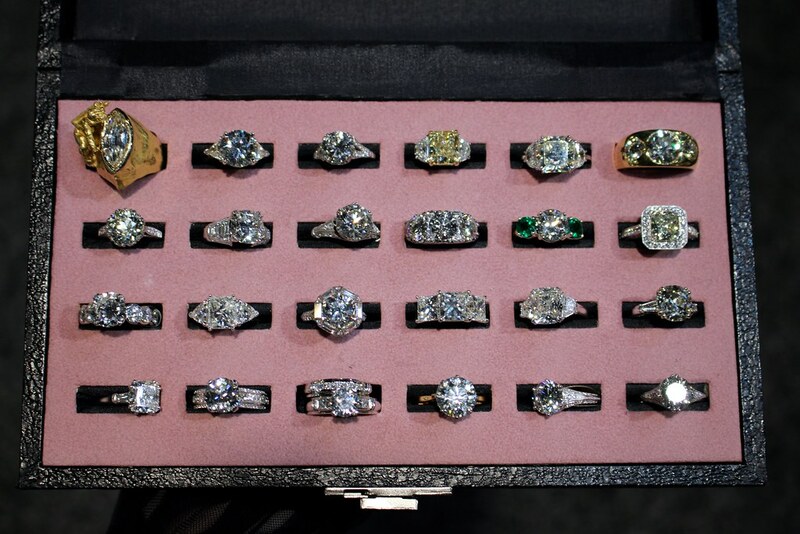 Thanks for another great year, Las Vegas Antique Jewelry & Watch Show…can’t wait until next year! Thanks for sharing. very nice blog and images. 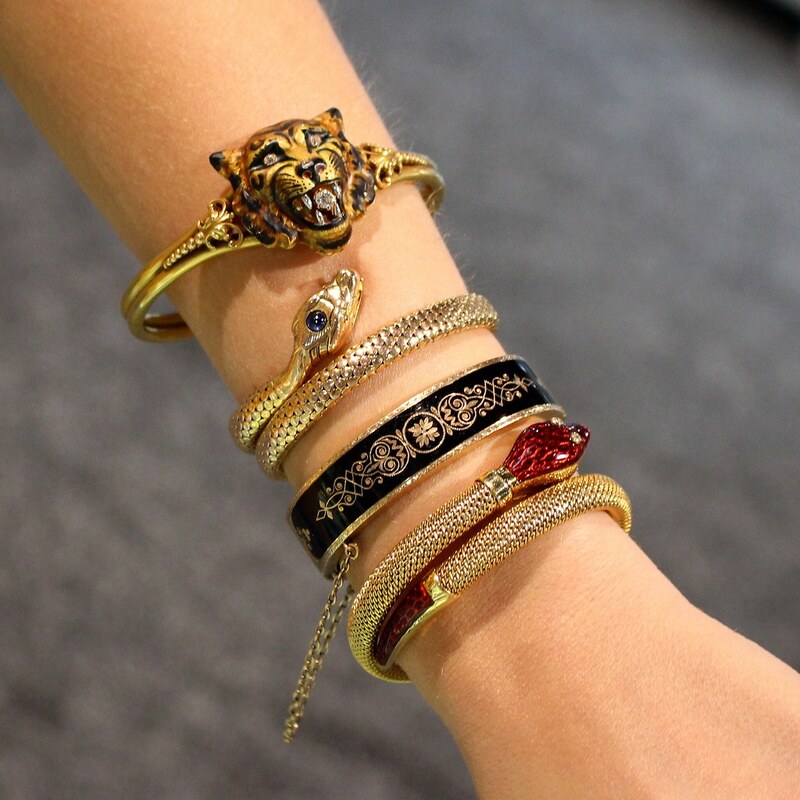 A great collection of jewelry designs.